Turmeric For Psoriasis Life Changing Secrets Revealed! Does using turmeric for psoriasis work or should you leave it for use only in Indian cuisine? Like every possible treatment for psoriasis, there are those who laud its capabilities for keeping psoriasis at bay and other sufferers who did not notice any benefits. In order to determine why turmeric may work as a treatment option for you to consider, let us look at the properties of turmeric and how they may be beneficial in the fight against psoriasis. The secrets behind the health benefits of turmeric are not new. It is just science that is catching up to the age-old secrets of turmeric. Isn’t this how it always is? Turmeric is the spice that is included in curry to make it yellow and is also a feature of yellow mustard. Since it is native to India and very popular there, it has been used in the practice of traditional Ayurvedic medicine besides culinary purposes. It has also been used in traditional Chinese medicine. What’s that amazing property it contains? The secret to amazing turmeric that is raved about is the active ingredient curcumin which has been noted to have very powerful antioxidant and anti-inflammatory properties. The anti-inflammatory properties of curcumin is the explanation for why some sufferers have reported great benefits when they use this spice in their fight against psoriasis which is an inflammatory disease. Very rarely do we deal with one health issue alone. You may be dealing with some of the above including psoriasis so turmeric basically “kills two birds with one stone” so to speak. So why haven’t you hopped on the turmeric bandwagon yet? There are countless stories about how using turmeric for psoriasis treatment has helped many people reduce and even eliminate psoriasis flare-ups. Is this something you should try? The better question is probably what do you have to lose by trying out this spice for yourself? Warning! This is messy. You can make a turmeric paste using the powder and apply it externally. If you are sitting at home one day with nothing to do or nowhere to be, give this a shot. Pour an amount of the spice sufficient to meet your needs for your psoriasis lesions in a glass bowl and then add water until a thick paste is formed. If the paste is too runny, simply thicken it up by adding a little more of the spice. A turmeric paste is usually most effective when it is applied to the lesion and left on overnight but you can leave it on for an hour or two if you prefer. Simply apply enough of the paste and cover it with gauze to prevent it from shifting and staining. Rinse off with warm water in the morning or after an hour or two after removing the gauze. Be prepared that it will leave a slight yellow cast which should go away soon enough. b. Eat or drink up! Using the spice in food and drink on a daily basis. Add it to milk, in cereal, to coffee or any other way in which you ingest it. If you decide to drink it, use a straw to avoid the yellow stains to your teeth and use 1 teaspoon of the powder per cup and drink at least three cups a day. BUT: Do keep in mind that you will not be able to get adequate amounts of curcumin when you drink or use the powder in food though since the powdered form commonly found in grocery stores typically only contains a very small amount of curcumin! You may need six to eight teaspoons of turmeric per day to compare to what you would get in 1 to 3 turmeric capsules. This will be hard to accomplish as you would need at least three meals a day that call for significant amounts of turmeric and drinking it is just not as pleasant besides staining your teeth. This makes obtaining the benefits of this key ingredient from capsules or tinctures discussed below, much better. But if you do take turmeric for psoriasis treatment this way, make sure that you add black pepper in order to increase the absorption of turmeric by the body because turmeric can be difficult for the body to absorb. Without adding black pepper, the body will metabolize this herb very quickly and you will not benefit much from the properties of this herb. Adding black pepper significantly enables the body to use it. This is because of a compound found in black pepper known as piperine which makes curcumin more bioavailable to the cells as many studies have shown. Try this turmeric which contains piperine. Taking it in a pill form may be the best way as it is less messy and rather convenient. Turmeric will stain everything and it may take several washes to get the stains out and you may prefer using turmeric or curcumin capsules to avoid the stains from turmeric spice usage. Capsules have been found to be just as effective if not more so as the raw spice and is the best ways to meet your daily needs to enable turmeric to have a positive effect in your body and your skin. The commonly recommended dosage for turmeric for psoriasis treatment is about 1,200 milligrams a day made up of 400 milligrams of curcumin three times a day or you can follow the manufacturer’s guidelines on usage on the label of the capsules you choose. A turmeric tincture is another way of using turmeric for psoriasis treatment and you would need about 1 teaspoon taken three times a day of the tincture. A tincture is an alcohol extract. The alcohol is used to extract the full benefits of the herb or spice and is also used as a preservative. If you want to avoid alcohol, you can remove it from the tincture using various methods you can find by searching online. It is also common to find tinctures that do not use alcohol to extract the properties of the herb or spice which is great for those who want to avoid alcohol extracts. 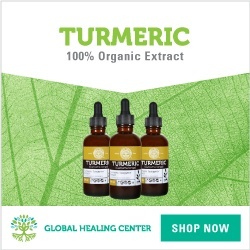 For a bestselling turmeric tincture that you can use, click here. Tinctures are also preferred when implementing turmeric for psoriasis natural treatment because while you can take them orally, you can also apply them underneath the tongue which helps bypass the digestive tract and go straight to the bloodstream. Going through the digestive tract means that less curcumin will find its way to the bloodstream although you can still take it this way. Allergic reaction such as a rash or liver enzyme elevation. Taking too much can cause an upset stomach, nausea, vomiting, dizziness, etc. If you are on other medication, there may be bad drug/spice reactions so do examine any medications you are taking and talk to your doctor about whether it is safe for you to add turmeric to your diet. Turmeric may increase the risk of kidney stones in some people because it increases oxalate in urine. Turmeric for psoriasis is an amazing natural remedy for psoriasis that is supported by scientific evidence unlike many other natural remedies so you definitely must get it in order to combat psoriasis because of it’s anti-inflammatory and antioxidant properties. You must get turmeric but it is only one key ingredient in beating psoriasis naturally. Besides using turmeric for psoriasis, discover more of the best products that you need in your life for treating psoriasis naturally by clicking here. Prev Is A Diet For Psoriasis A Viable Treatment Method? I googled ‘turmeric for psoriasis’ to see if it was just a coincidence that the psoriasis at me hairline framing my face has virtually disappeared after a week of drinking ‘golden paste’ drinks daily. I guess it is not a coincidence! A pop-up for this page mentioned cabbage leaves for psoriasis so I will just mention that my mother put cabbage leaves on her knees (she had psoriasis for as long as I can remember!) and the cabbage leaves cleared it up! Another awesome resource is thepaleomom and the autoimmune protocol diet. Worked for me! It’s great to hear how these and other remedies worked for you and your mom. Were the cabbage leaves raw or cooked? I’ll try anything ???? They should be raw. Hope it helps you.